Neringa Northcutt's extensive knowledge of the Chicago market comes from both living and representing sellers, buyers, and investors in all of the hottest neighborhoods in the city. She has represented clients in Lincoln Park, Lakeview, Gold Coast, Bucktown, River North, Wicker Park, Streeterville, and the West Loop. Neringa joins @properties after working for several years at another top real estate company in the River North neighborhood where she specialized in both residential and investment properties. Her track record of putting her client's requirements first and her strong negotiating skills result in lots of repeat business. Neringa understands that buying or selling a home is a major life event and takes care to show her clients that she not only understands this, but will be there to ensure their success. She knows how to put @ properties innovative marketing tools, network of agents, and technology to work for her clients. 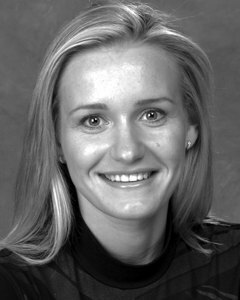 Neringa holds a Business Degree from Kaunas University of Technology, in her native Lithuania. Prior to entering the real estate market, Neringa was a partner in a local web application development firm. Call 312.919.7070 or email neringa@atproperties.com to hear how she can assist you with your real estate transaction. "Neringa was extremely helpful throughout the process of buying our first home. She explained every aspect in detail and was very patient with us. Her network of attorneys, mortgage lenders and home inspectors also helped to make the process easy and effective. I would not hesitate to call Neringa for our next home purchase and strongly recommend you call her for your house hunting!"